Preheat little olive oil in a large pan over medium heat. Add chopped onions and stir to let the onions become covered with oil. Then add chopped cabbage. 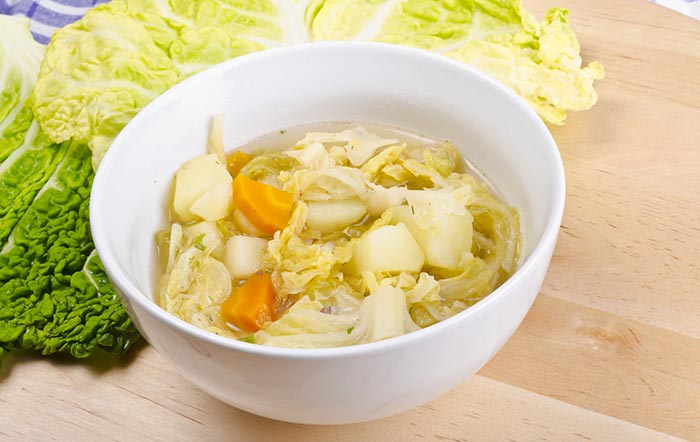 When the onions and cabbage are tender, add 1 litre of broth. Reduce the heat. Cover the pan for 15 minutes or until the cabbage is tender. Add tabasco sauce and a spoon of sugar.